A “$100,000 club” of monied donors is giving millions to the B.C. Liberal Party and getting billions in government payouts, contracts and projects, according to a new book by the executive director of a government watchdog group. Just 177 donors paid $55 million – about half of all the money received by the Liberals over the last 12 years – and subsequently received some $15 billion, as well as permits, legal changes, regulation changes and approvals, says Dermod Travis of Integrity B.C. He admits he has no direct evidence of corruption or bribery, but says he’s uncovered a pattern B.C. voters need to pay attention to. For his book, “May I Take Your Order, Please?” he looked through the public listings of election donations held by Elections B.C., and then looked at government payment records, which track contracts and credit card payments. There are tens of thousands of donors giving to the party. But when it became clear how much money was coming from a small subset, he zeroed in to investigate the business they do with the B.C. government. He identified 177 corporate networks that gave more than $100,000 and called them the “$100,000 club.” The book details the donations and examines the $116 million the Liberal party has received since Elections B.C. started keeping digital records in 2005. CTV News asked Liberal Leader Christy Clark about Travis’s findings and if there’s a return on investment from donations. The lumber mill on whose property the Liberals arranged the campaign stop Tuesday is also listed as a donor in Election B.C.’s database. Donation irregularities to the B.C. Liberals sparked an RCMP investigation earlier this year that has now expanded to include all donations. In response Clark promised to convene an independent commission to analyze the province’s largely unregulated election donation regime, but not until after the election. Unlike the federal government, there are no caps on donations in B.C., and corporate and union donations are allowed. Since 2005, the NDP received $46 million in donations. That includes some $672,000 from United Steelworkers, which is paying for some staff on the NDP campaign. The NDP says it needs resources to fight the Liberal party, but is promising to ban the practice entirely as their first act in government. 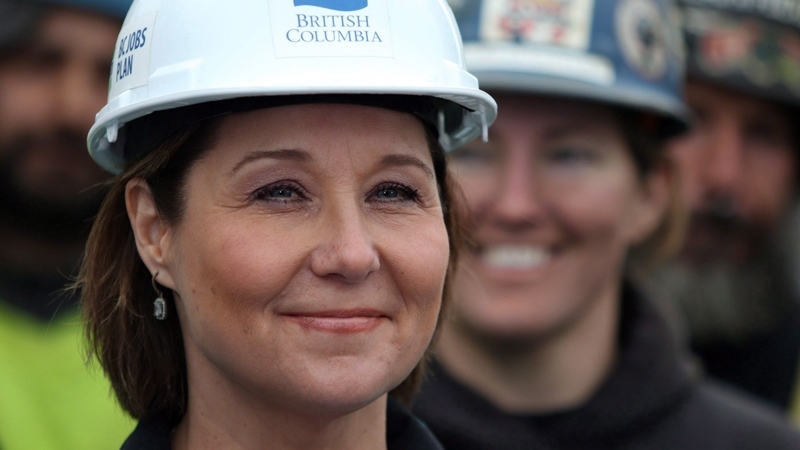 “The commitment I make to the people of B.C. is that we need to get big money out of politics,” Horgan said at a campaign stop Tuesday. Travis says these concerns will continue to dog all parties until the system itself is changed. “Look at Alberta or the federal level. They’ve banned this to avoid the smell that we have in this province. If we want to rid the smell of this type of a political system in B.C., we’re going to have to do the same: ban corporate and union donations,” he said.